The bleach took the colour out of the Basic Gray card stock and left me with a neutral yellow kind of colour. It wasn't quite Very Vanilla but it wasn't So Saffron either. I was having some issues coming up with something to go with it so I thought about colouring the bleached parts. So I did. 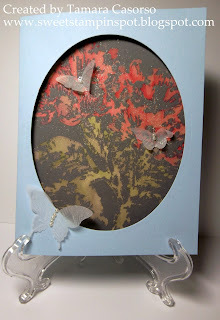 I used an Aquapainter, Old Olive, and Primrose Petals classic inks to colour in the image. I didn't like it at first. Not at all. But, it's started to grow on my since then. 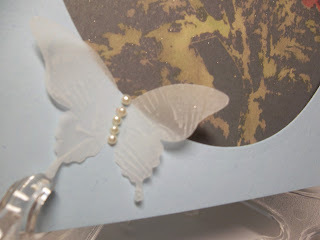 It's very difficult to see, but I spritzed the image with shimmer paint in a stampin' spritzer mixed with 70% alcohol. It adds a pretty shimmer in person. 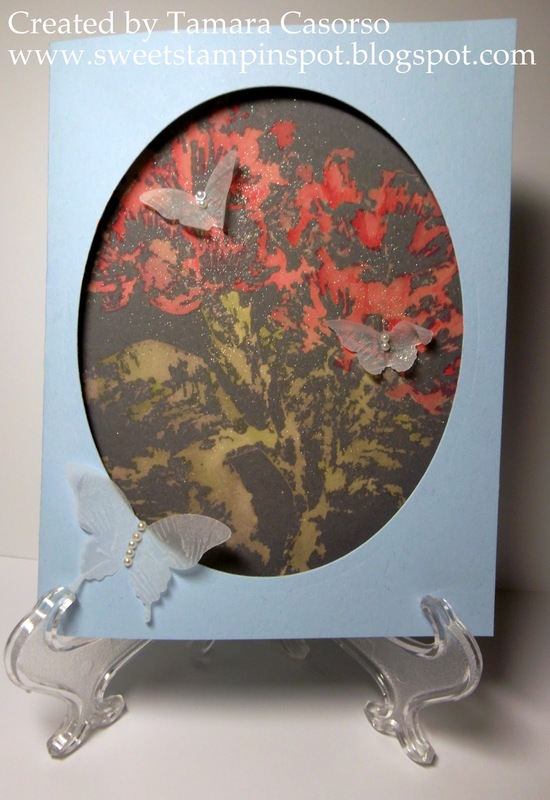 One of my favourite elements of this card are the butterflies. 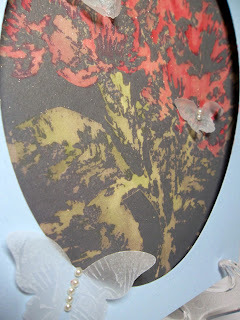 I inked Sweet Floral stamp with White Stazon solvent ink and then stamped it onto vellum. I let it dry for a minute or two and then punched out two sizes of butterfly. I like the look of the pearls for the body. This card was a challenge. I admit that 100%! What do you think? Is this a technique you might try? Just ink your stamp with a bit of bleach and touch it to the paper. Wait for it to dry completely and then colour it in with ink and an aquapainter. Hope you have had a great weekend so far!